The EUR/USD pair has achieved the target of the calculated descending wave. The last leg of the current downward move can hit a new low and reach 1.1500 as part of its channel. 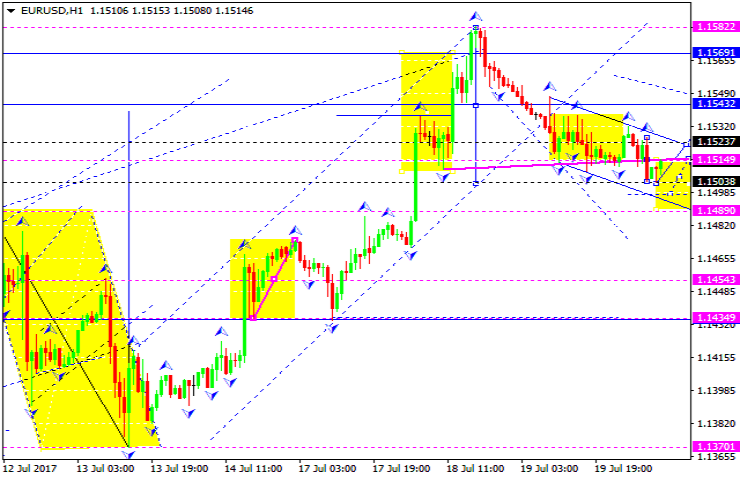 Then the pair can correct towards 1.1523. The Euro can also decline to reach 1.1453. The GBP/USD pair has broken through 1.3040 and is trading below within a consolidation range. A continuation pattern Triangle is forming now. 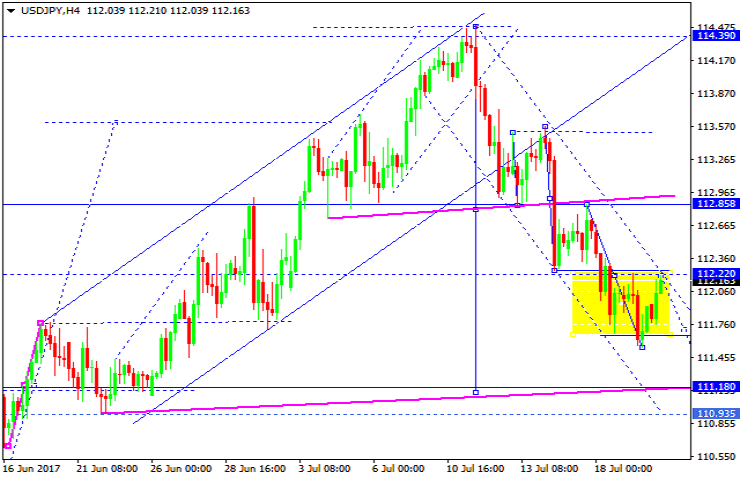 It is expected that the price can break out of it to hit 1.2964 level. 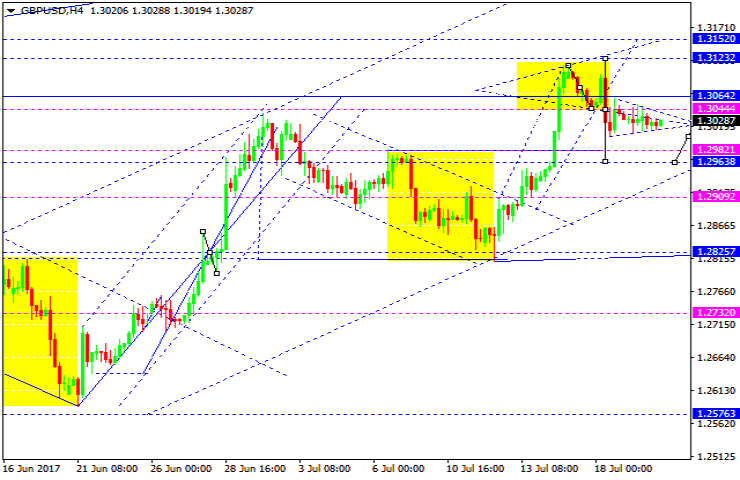 Then the pair can form a correction move to hit 1.3040. The USD/CHF pair has broken the descending channel. At the moment the market is trading within a consolidation range having completed the breakout. We are awaiting the pair to resume moving upwards as the 3rd wave. The calculated target stands at 0.9570. 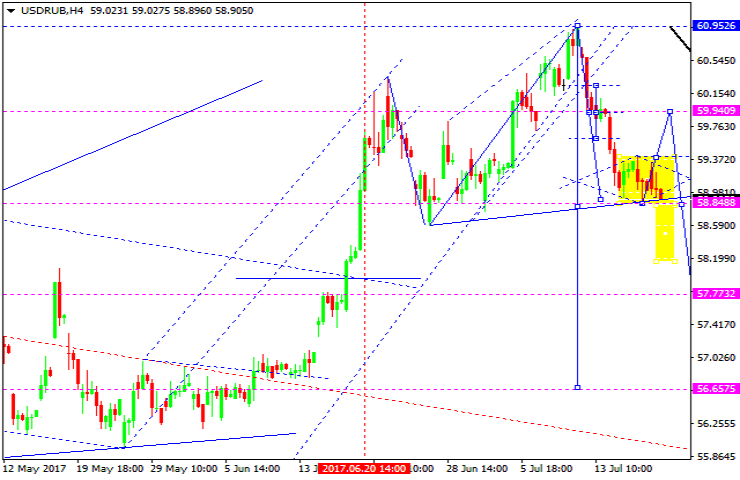 Then the pair can form a correction towards 0.9550. After that the pair can move higher within the fifth wave to reach 0.9577. The USD/JPY pair is trading within a consolidation range near lowest values of the descending wave. The market has returned technically to 112.20 level. Then yet another descending wave can occur to bring the pair to 111.18. However, there can be another correction leg towards 112.85. The AUD/USD pair is trading lower. 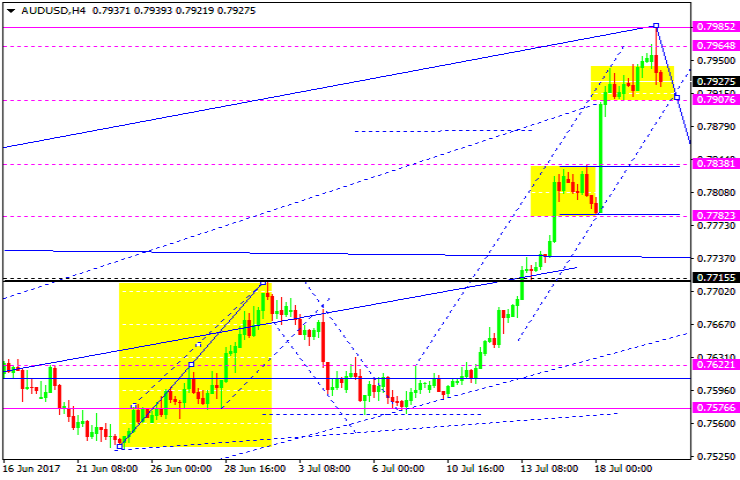 It is expected to break through the 0.7907 level. The first target is 0.7838. 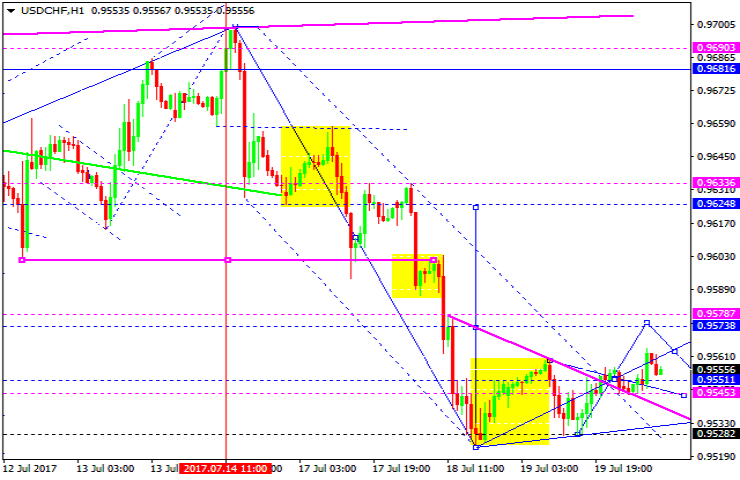 Then the pair can form a correction move to 0.7907. The USD/RUB pair still trades lower on the back of weaker USD. If the 58.84 level is broken through, the bears will get the power to move the price lower within the downtrend towards 58.00 When (and if) the pair breaks through the 59.35 level from bottom downwards, an upward move to 59.95 can occur. 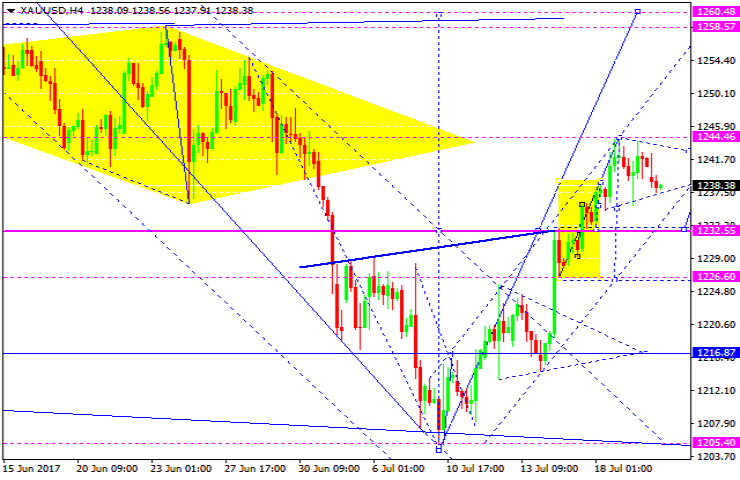 Gold is trading within a yet another consolidation range above 1238. A rise towards 1260 is expected. Then the pair can form a correction move to 1232. Oil is striving to move higher. For today we'd consider the 50.00 level to be reached. Then the price can try to test 49.40 mark from top downwards. After that the pair can attempt to rise to hit 50.20 level. 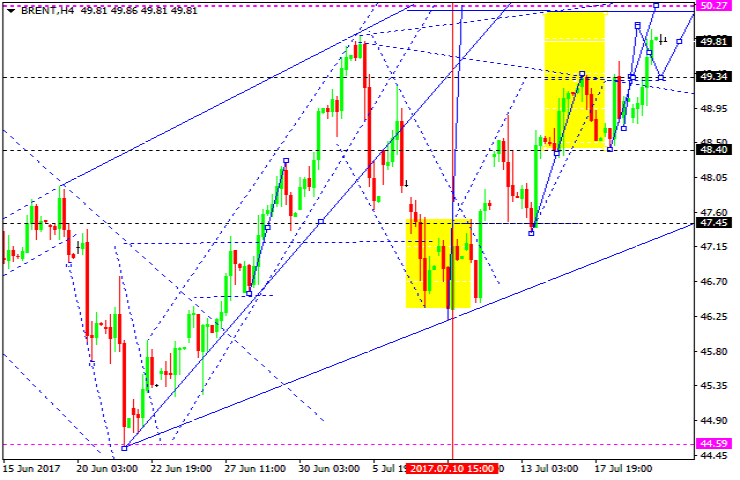 And then a correction move towards 47.50 can occur.